The Flirt wine decanter created by Riedel's master glass blowers is not only very impressive, but it is phenomenally functional and practical. The bottom of the decanter has an indentation thumb notch which aid’s with pouring and holding the decanter. 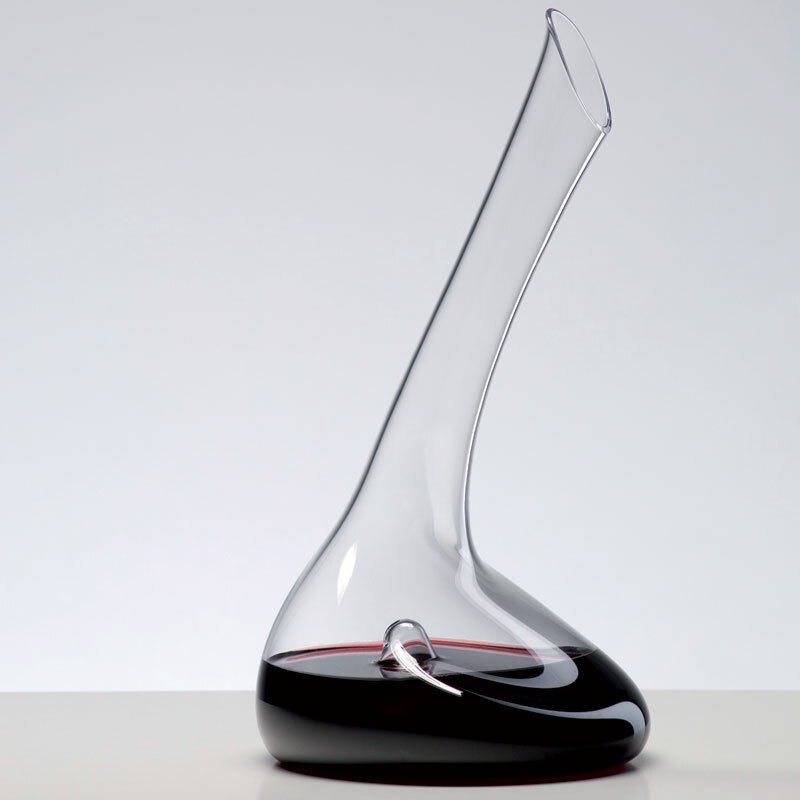 Thanks to the large surface area, this decanter allows the wine to breathe which is vital for opening up a red wine. The long sloping neck on the decanter makes it possible to pour your wine for every guest at the table with ease. The total capacity of the decanter is 1760ml but a standard 750ml bottle will easily fit to the widest point.